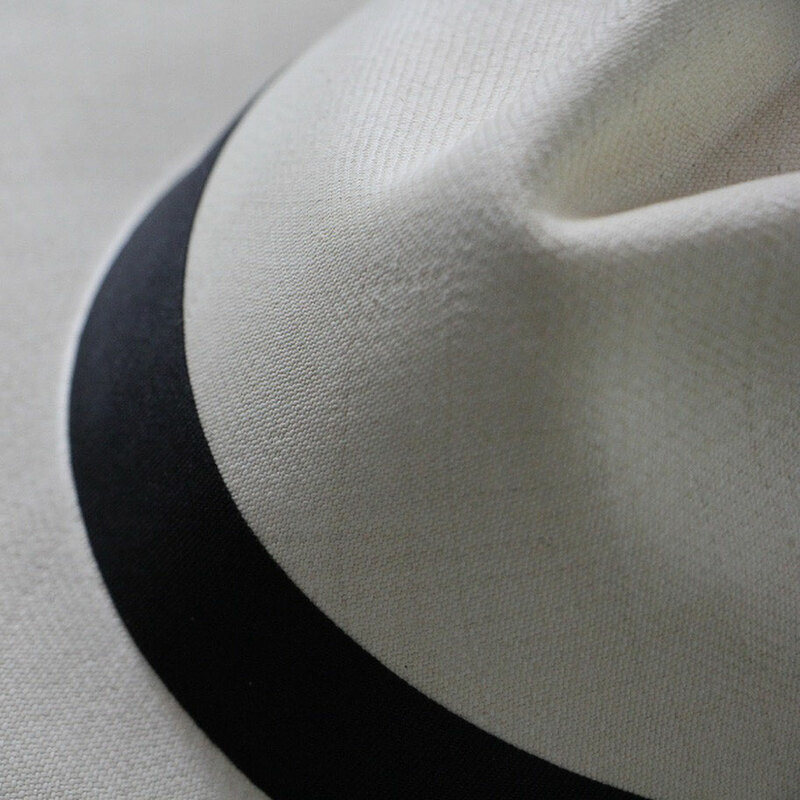 Detail of a handmade Panama hat. There are as many possibilities to customize your fine toquilla straw hat as there are good wines in Europe. But it always happens to us that when we observe a beautiful specimen of a certain model, with the ideal wing and a perfect combination of colour and ribbon, we know that it is made for us. Because it goes according to that intimate image that we have of ourselves. The hat is perhaps the most versatile item of clothing you can imagine. It can be worn with a tie suit or jeans, if you wear moccasins or Manolos. If you are a hippie or a Supreme Court judge. If you go on an electric scooter or in a luxurious convertible. If you live in Paris or in the Serengeti National Park. The hat is democratic, it is a loyal companion, it is part of the personality of its wearer. Therefore, choosing one is like having a blind date, look at it, communicate, let yourself be seduced and as soon as you feel that Cupid has succeeded, catch him and never let him go from your side.